Sin City Cupcakes and FukuBurger Sighting! Looks like we’ve been spotted with the guys at FukuBurger! Let’s just say we’re in the process of creating the unique FukuCupcake! You didn’t hear it from us… A little bird told you! Just be sure to mark your calendars for Wednesday, June 20th. It’s all going down at Westside Wednesdays. 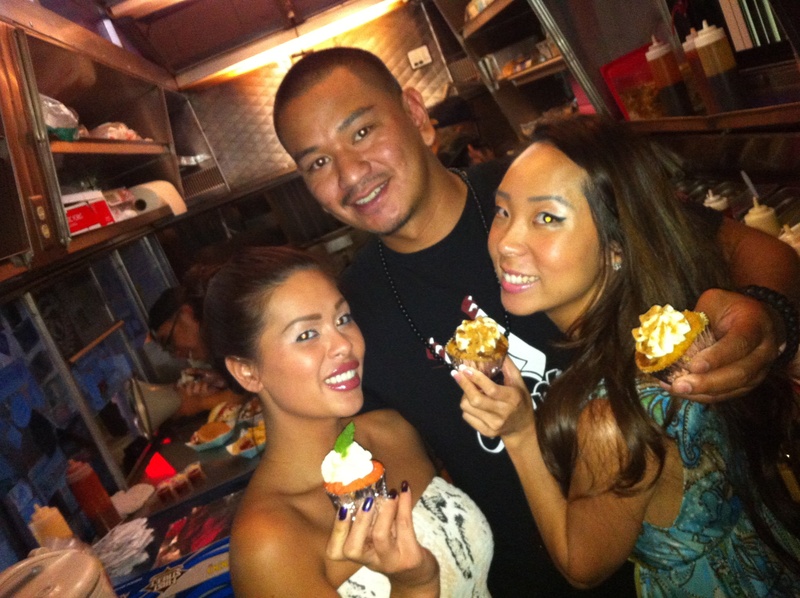 In the meantime… Grab some FukuBurger for lunch and dinner, then order some Sin City Cupcakes to satisfy your cravings!